The half term holidays traditionally fall in February and October and are a perfect time for a family holiday getaway to sunnier climes. 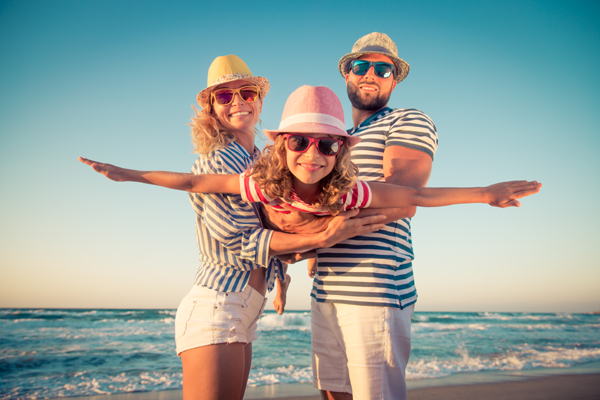 During February many people head to the warmth of the Caribbean, Egypt or the ever popular Canary Islands to spend time having fun together for quality family time. Some even like to be more adventurous and head for the ski slopes during February half term. October half term holidays offer more choice of places to visit and include Greece, Turkey, Tunisia and Spain and all of her islands. Families head off overseas to enjoy the last of the summer sun in these exotic destinations to get a much needed family holiday. Wherever you go the one thing you can be sure of is that you can enjoy a half term holiday as a family without worrying that the kids will be bored or sat in front of the TV all day playing video games. For the best deal on half term holidays it is advisable to book well in advance to secure free child places or the hotel you want. If you cannot book in advance or have made a last minute decision to go away we aim to find you the best deal. We will regularly update this page with last minute half term holiday deals so keep checking back and find a bargain today! Call us today or have a browse around our website for the best cheap half term holiday deals today. Call our Holiday Experts today on Freephone 0800 091 4935!